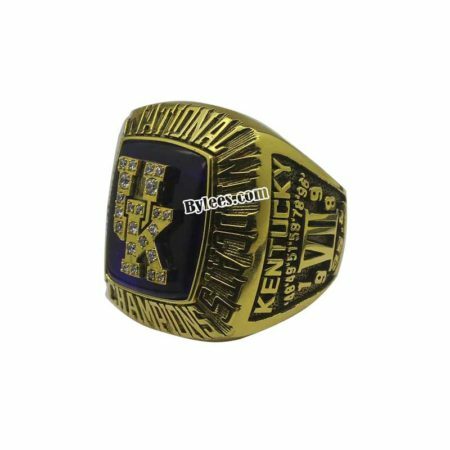 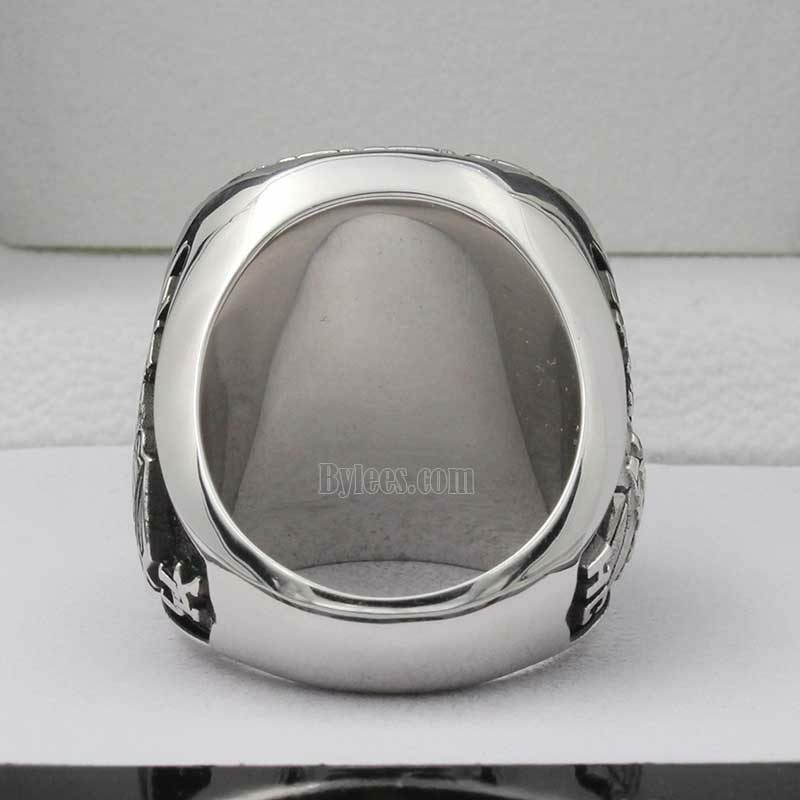 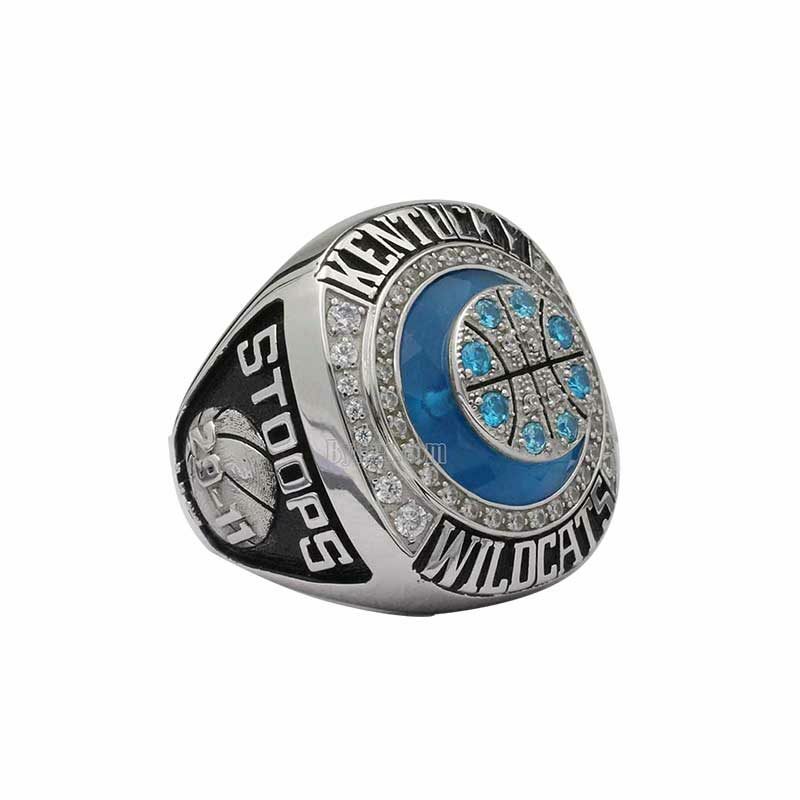 2014 Kentucky Wildcats Basketball Final Four Championship Ring commemorated the UK’s Runner-up in 2014 national championship game of the 2013-2014 NCAA Division I Men’s Basketball Tournament. 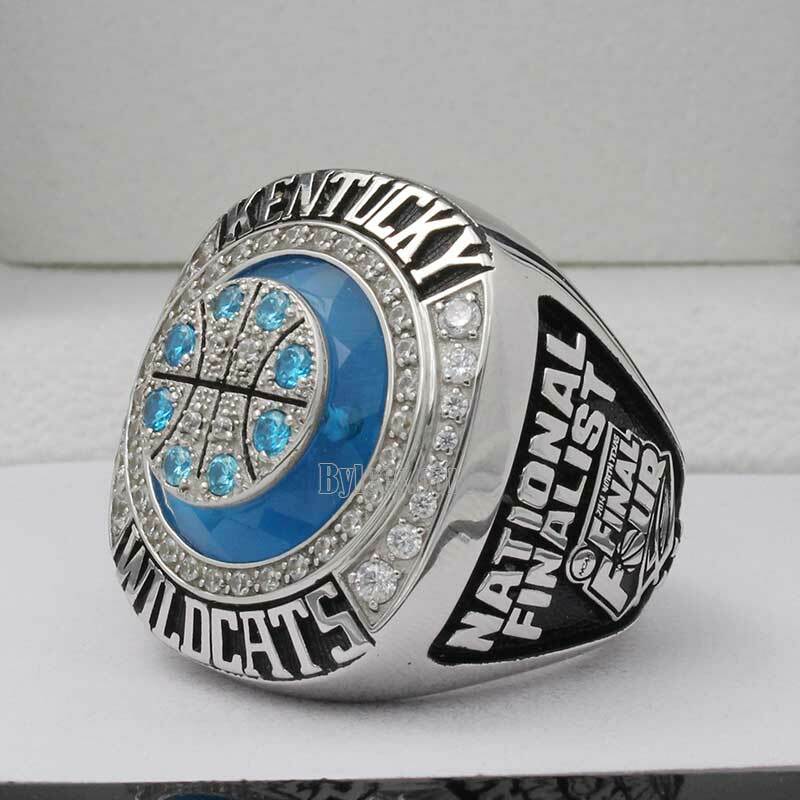 The version here is the UK coach John Calipari championship ring, even it is just a Final four title ring, but to be honest, this is the best Kentucky Championship ring so far and one of the most beautiful NCAA basketball championship rings we have ever seen,especially the design of the top which pronged with a Sapphire with blue diamonds(real one) representing the signature color of UK athletics as well as “Big Blue Nation” fans. 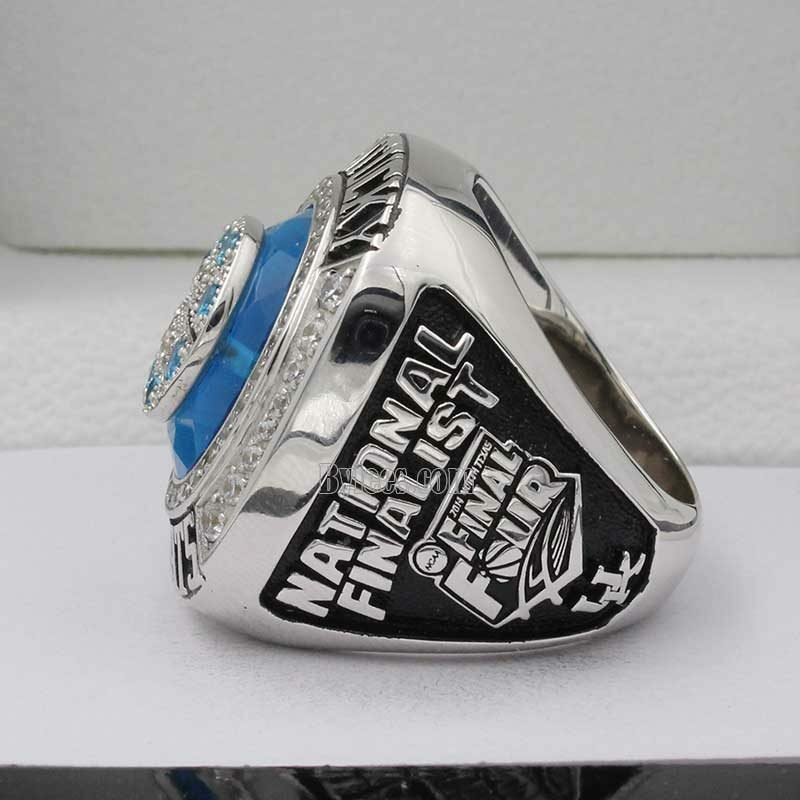 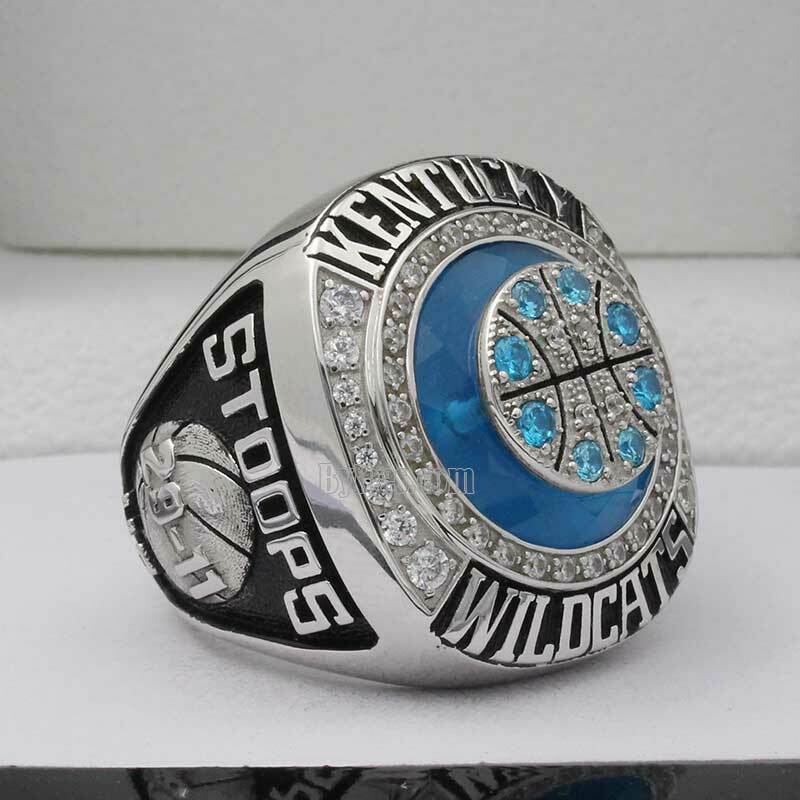 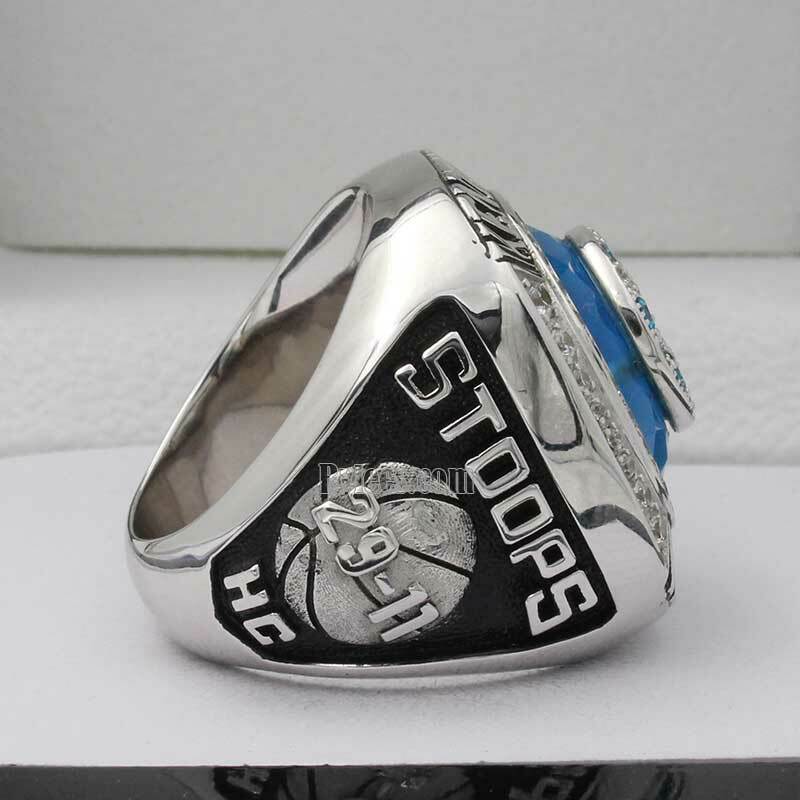 What makes the 2014 UK championship ring special as well, is the road to the final four team for the UK wildcats was not easy and they defeated the previous final four as No. 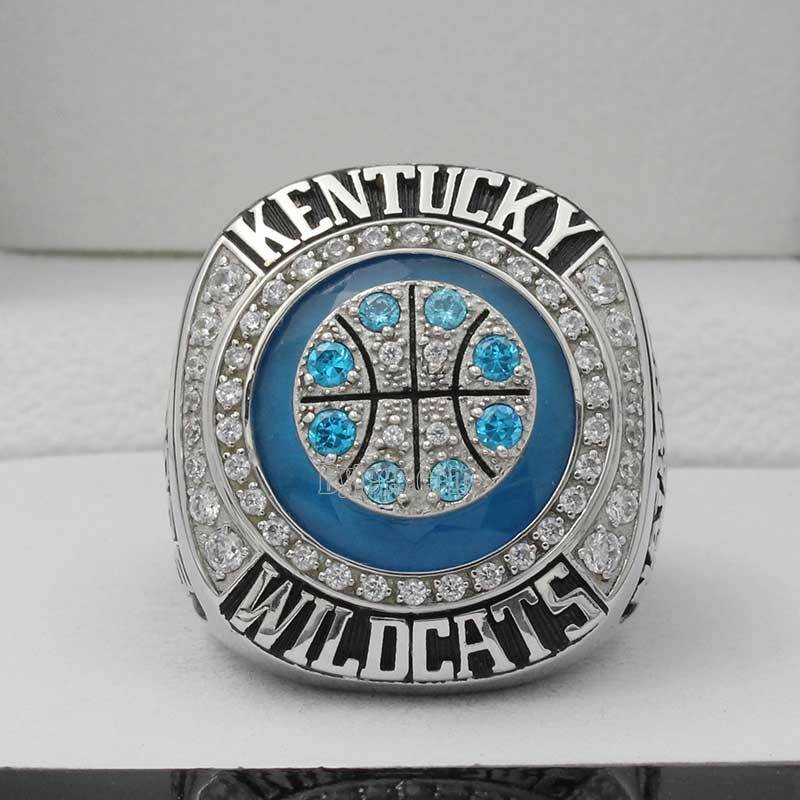 8 seed and enter to the national champion game. 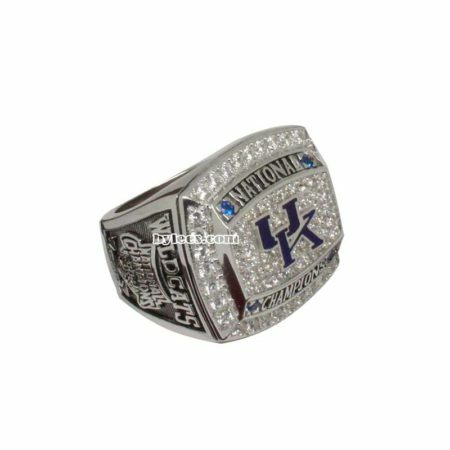 John Calipari made a good recruiting in this season, even lost some of its top players from the 2012–13 team including Nerlens Noel and starting shooting guard Archie Goodwin, Starting power forward Kyle Wiltjer transferred to Gonzaga and starting point guard Ryan Harrow transferred to Georgia State, but he manged to get newcomer Julius Randle, Dakari Johnson,James Young,Marcus Lee, Andrew Harrison,Aaron Harrison.